ACFA Youth Outreach has been awarded a grant of £270,000 by the Department for Education to deliver projects in England from September 2014 to August 2015. The grant was awarded by the DfE as part of its military ethos AP (Alternative Provision) programme and Youth Outreach is one of only six providers to receive a major grant. The Department’s Alternative Provision programme aims to help some of the most disadvantaged and disengaged children and young people meet the challenges of school and life in modern Britain by building character and instilling values such as self-discipline, resilience, confidence and leadership. 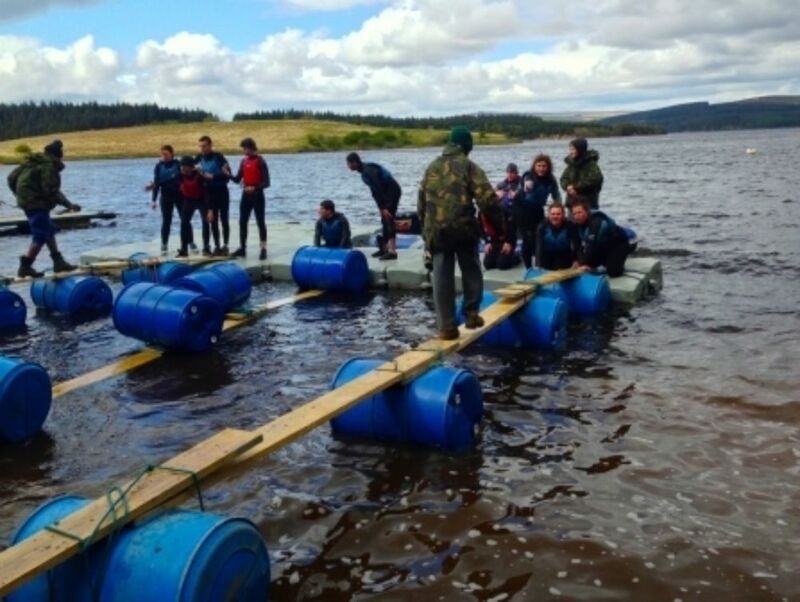 The grant signals the Department’s formal recognition of the value of Youth Outreach projects, which use the military ethos and ACF-type activities to get young people ‘back on track’ and make them realise they can actually achieve at school and in life. The grant also acknowledges the proven success of Youth Outreach over 20 years and provides an endorsement of the outstanding work carried out by CFAVs and their counties. From 1 April 2014, Youth Outreach became part of the Army’s youth and civil engagement strategy, with the ACFA continuing to provide governance and funding. David Short, General Secretary of ACFA commented: “ldquo;‘ACFA is proud to have achieved this recognition and this support at this crucial time. "The ACFA Youth Outreach Programme changes lives"
“The ACFA Youth Outreach Programme changes lives. It takes young people from socially and educationally disadvantaged backgrounds, encourages them to aim higher and helps develop their self-confidence, self belief and self discipline. Professor Simon Denny (Director of Research, Impact and Enterprise, The University of Northampton) adds: "Having reviewed the extensive evidence that has been gathered over the past 20 years about the Youth Outreach programme, I am confident that it is a scheme that changes, for the better, the lives of the vast majority of its young participants. Moreover, the delivery model that Youth Outreach uses is very, very good value for money. I regard Outreach as a low-cost, high-impact intervention that, without being at any time militaristic, provides an excellent example of how the Military Ethos is applicable outside the armed forces." The DfE’s Alternative Provision (AP) programme aims to help make a difference in the classroom and beyond. D: Destination – establishing high aspirations and doing well at school, setting goals and understanding how to get there, developing links with employers, achieving qualifications and skills beyond the classroom. The programme is targeted at young people who face huge challenges. Only 1.5% of young people in AP achieve the 5 grade Cs including English and maths standard set by the DfE – 40 times worse than others. Almost 90% of those in young offenders’ institutions come from the AP sector at a cost of £100k per youngster per year. Many of these young people end up with self-destructive lives. Raising attainment to national average levels could save UK GDP £14 billion a year by 2030. Reducing the number of young people on these paths would provide a better quality of life for communities and a better future for the country.